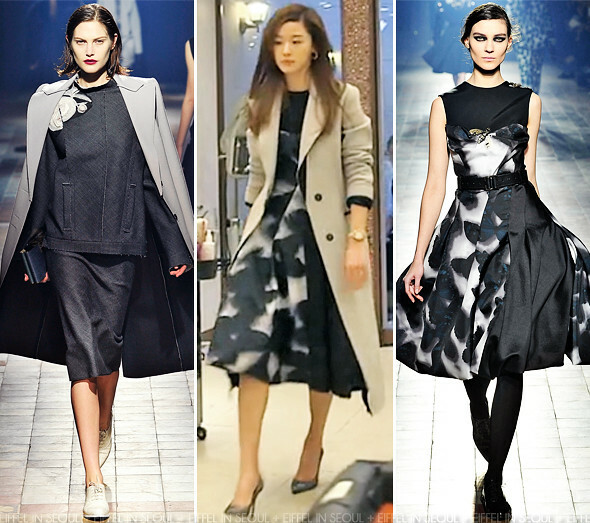 Gianna Jeon Ji Hyun (전지현) wore a grey coat and a trompe-l'œil butterfly shadow printed bustier dress, both from Lanvin Fall/Winter 2013 collection. Jimmy Choo 'Abel' glitter pumps completed her look. This is my favorite look off the first two episodes of the drama. She looked so polished and sophisticated in it. That scene was also my favorite so far.